Born in New Zealand, Trevor was the son of a line of farmers and builders. He graduated from the University of Queensland, Australia with a Bachelor of Veterinary Science degree in 1966, and completed a PhD in animal virology (bovine and equine herpesviruses) at the University of Queensland in 1970. At the Australian Government’s CSIRO Division of Animal Health, Melbourne, he developed Specified Pathogen-Free (SPF) poultry flocks in a purpose-designed national facility (1977), which then supported Australia’s avian research, vaccine production and avian exotic diseases diagnosis for 20 years. 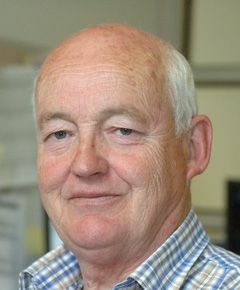 His research interests at CSIRO (1975-1996) included avian leucosis and reticuloendotheliosis, avian immunosuppressive viruses and infectious laryngotracheitis (ILT) virus. Trevor demonstrated that the trigeminal ganglion is a major site for latency establishment by ILT viruses, and that modified live ILT virus vaccines established latent infections that later reactivated with spread of infection. He developed the A20 ILT vaccine and remains the co-holder of the international patent for this vaccine. Trevor co-authored the chapter on infectious laryngotracheitis in Diseases of Poultry for the 9th, 10th & 11th editions and has authored some 150 scientific publications in avian health. Whilst Assistant Chief of his CSIRO Division, Trevor was also Director of the Australia-China Poultry Projects (1988-1996), where technology transfer laid significant foundations for China’s modern intensive poultry industry. In 1997 the Australian Veterinary Association awarded Trevor the Kesteven Medal for “outstanding achievements in international animal health development assistance” in China and Vietnam. In 1996 Trevor joined the University of Melbourne, and from 2005 was a central figure in establishing Avian Health Online. This is now jointly presented worldwide with the University of Georgia, USA and enables postgraduate education and competencies training of avian veterinarians by interactive distance education. As the President of WVPA from August 2011, he was working to further enhance the prominence of WVPA and its national Branches in avian health sciences matters globally. He is survived by his wife Jo, 3 grown daughters Fiona, Kathryn and Elizabeth, and 3 grandchildren.